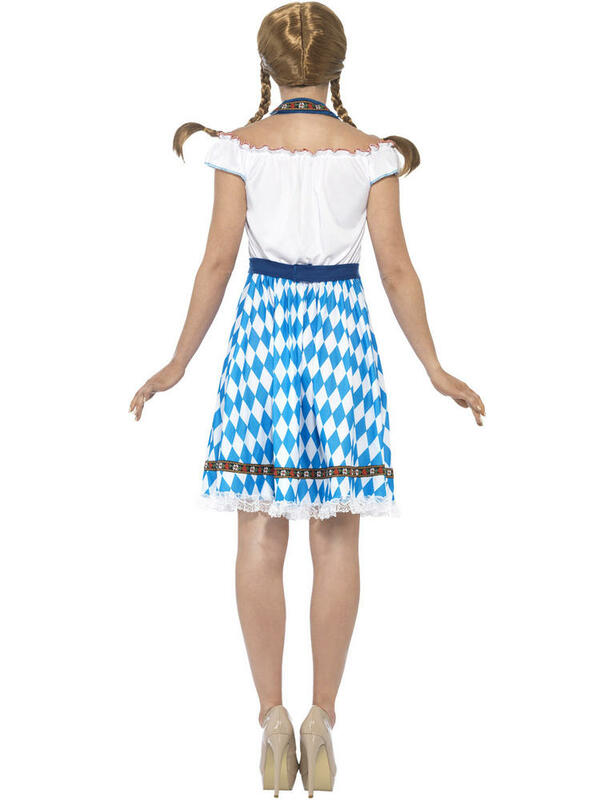 Are you dressing up for Oktoberfest? 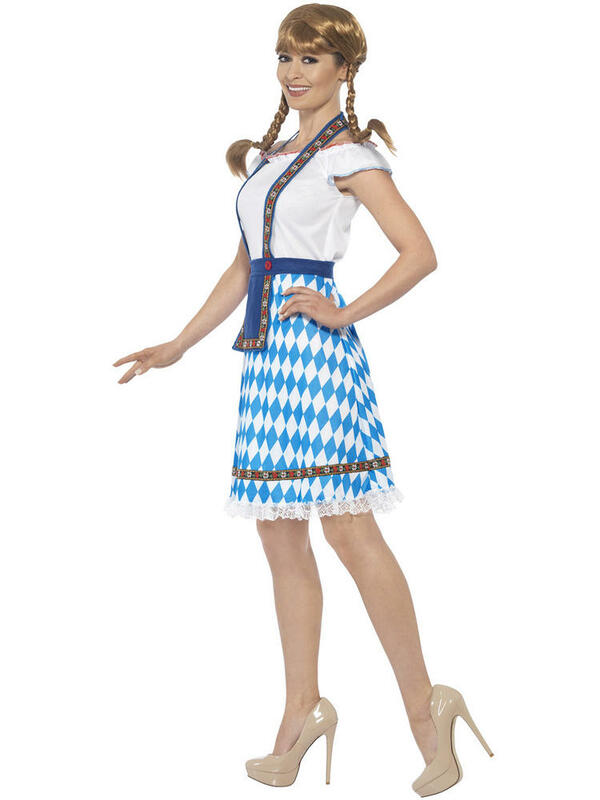 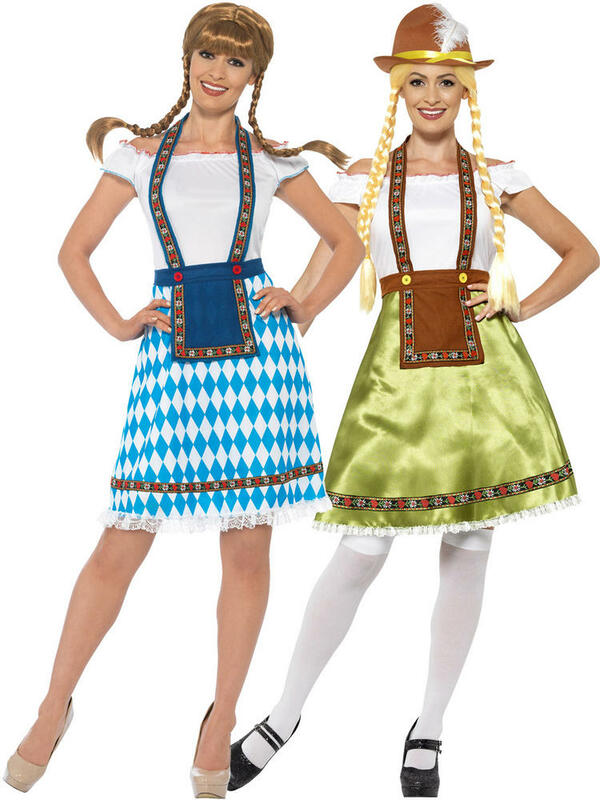 This Ladies Bavarian Maid Costume would be ideal if your getting into the Beer Festival spirit. 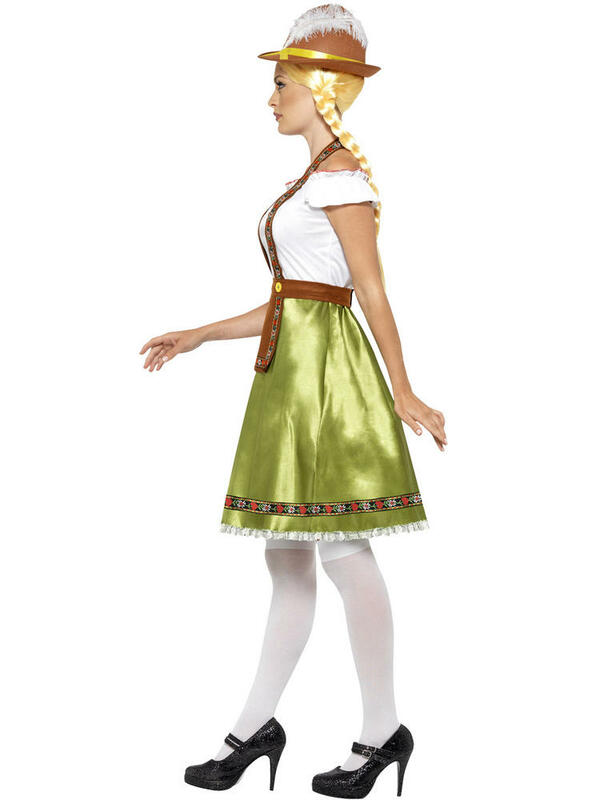 Green Bavarian Maid Includes a dress with white off the shoulder sleeves and a green satin skirt with white frilly trim. 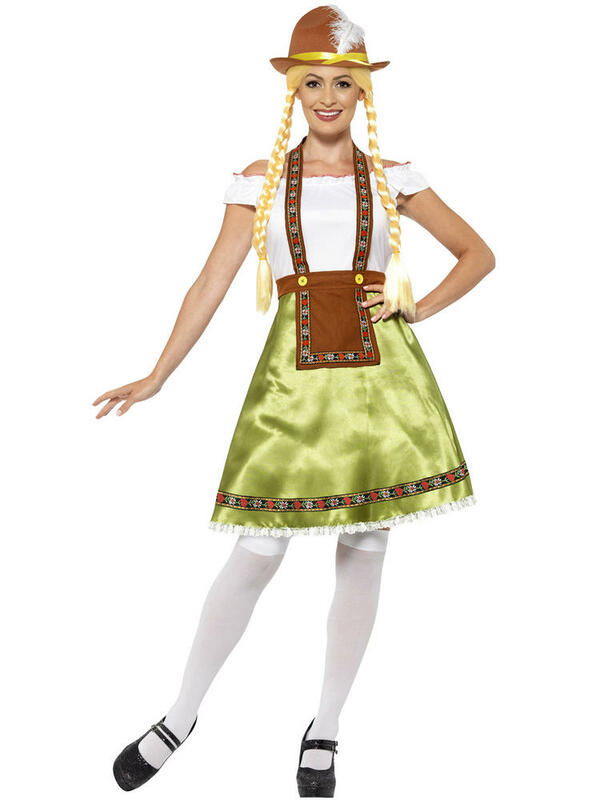 To complete the outfit is a brown apron. Blue Bavarian Maid includes a white off the shoulder dress with a blue chequered skirt with a pretty lace trim. 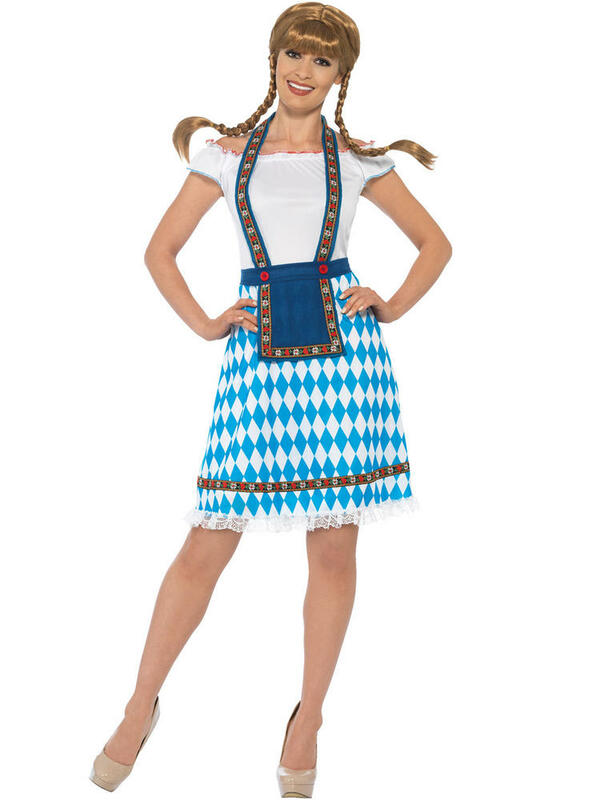 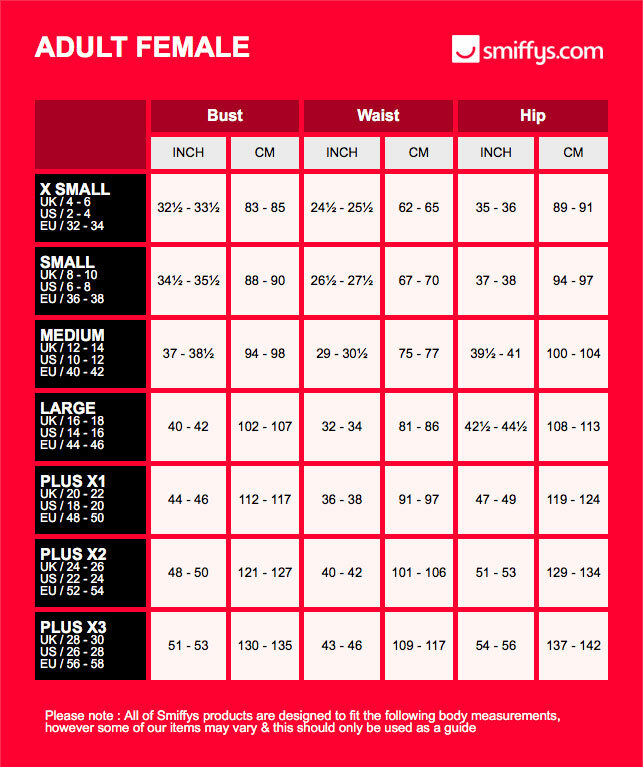 To complete the outfit is a blue apron that fastens around the waist and neck with Velcro.